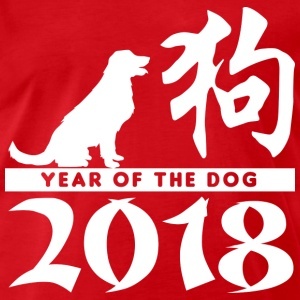 明けましておめでとうございます！ A happy new year of the dog to everyone. This post’s title (Ake ome!) is the abbreviated version of the official Japanese new year greeting (Akemashite omedetou gozaimasu!). Surprisingly, two of my senpai had never heard of this colloquialism before. Perhaps I’m dating myself but I remember it being popular to say during the time I lived in Japan, though I’m not so sure about now (and maybe it wasn’t around when my older colleagues spent time in Japan). My previous post discussed the kanji of the year (北, kita or north), and I just came across an article highlighting some of Japan’s 2017 buzzwords. One was 忖度 (sontaku), or the preemptive, placatory following of an order that has not been given. This phenomenon is seen in both government and private sectors, and according to the Financial Times it “resonates well in explaining Japan in the era of Shinzo Abe.” A 2017 term which we can expect to hear a lot of in 2018 is 働き方改革 (hatarakikata kaikaku) or work-style reform, and this reflects the issue of poor labor practices that in extreme cases can lead to 過労死 (karoushi), or working oneself to death. Effort is being made to reduce working hours and improve efficiency, but employees on the news complained that when the workload is the same they struggle to get everything done in time. This reminds me of Premium Friday, another well-intentioned initiative introduced last spring that we don’t hear much about these days. Finally, on the lighter side we have インスタ映え (Insta-bae) or Instagrammability, an essential part of enhancing one’s social media presence that doesn’t seem to be dying out anytime soon.